Behind the towering windows of Hardwick Hall a girl exists in perpetual shadow awaiting her moment in the sun. She is Arbella Stuart, raised to be Queen Elizabeth’s heir. Carefully guarded, she lives under the watchful gaze of her cold-hearted grandmother, for there are many who seek to use her as a pawn in their political plots. And the bloody fate of her aunt, Mary Queen of Scots, is a constant reminder of what can happen to those whose birth puts them close to the throne. But the cloistered splendor of Hardwick is more prison than sanctuary for a girl who desires freedom above all else: freedom to don a pair of breeches and gallop the hills with the wind in her hair, freedom to make her mark, freedom to control her own destiny – the kind of freedom only allowed to a man. 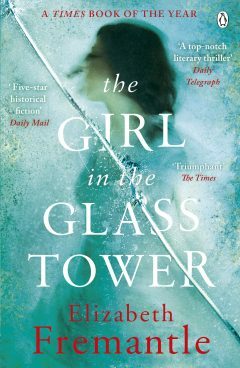 The Girl in the Glass Tower is a gripping and poignant tale that asks what it means to be born female in a man’s world, telling of incarceration, escape, and the undeniable power of the written word. We welcome enquiries from the media and are happy to put you in contact with our members.